By now you can probably tell that this is a favorite topic of mine! I was honored to be asked to join MindTouch CEO Aaron Fulkerson for an AskMeAnything podcast on journey mapping; I could talk about that all day! 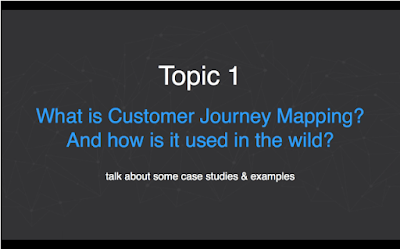 Journey maps are such important tools to have in your CX toolbox. The reasons and the benefits are endless. The main reason to journey map? You can't transform something that you don't understand. And journey maps will help you understand. Without knowing what steps your customers currently take to complete some interaction or task, there's no way for us to make improvements or change the experience for the better. Imagine trying to change something that you have no clue about, that you have no idea how it transpires today. That's just silly. You can't go into this transformation from (bad) current state experience to (great) future state. And yet, so many companies attempt to do that. What is customer journey mapping? and how is it used in the wild? What industries employ customer journey mapping? Does the customer journey map differ by industry? and what does it look like? 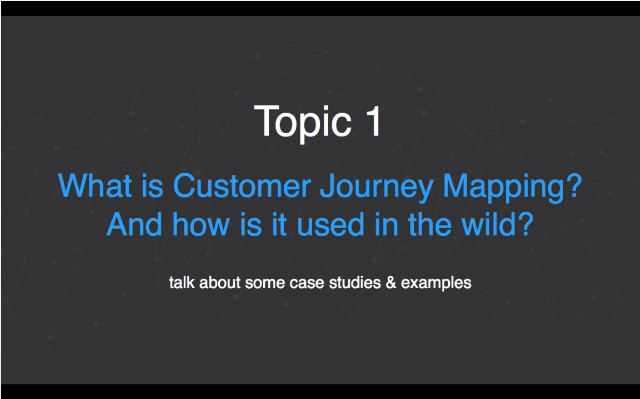 Customer Journey Mapping 101: how do you capture the customer's perspective in the journey map? and how do you validate your journey map? Are there software tools available for automating a customer journey map? Are people journey mapping during the sales and pre-sales experience? Having facilitated a number of these projects, where in the journey do most people tend to focus? Can you talk about some of the coolest projects you've been involved with? What pulled you into this field, i.e., creating tools to help companies empathize with customers? What's the most-important skill needed to help companies empathize better with their customers? Do you have a set of customer journey mapping methodologies to help you navigate large organizations? How do you build your business case? It's all about ROI. Are you using any of the popular industry metrics, like NPS, CES, CSAT? Do you have a standard journey mapping process that you roll out regardless of the project that you're working on? When you start a project, do you go in with an expectation of what the outcome will be? What's my one central message/key takeaway for the audience? Aaron asked some great questions, and the conversation led to other twists and turns about journey mapping and customer experience. Go here to listen to the podcast. (It's about 35 minutes long.) I hope you enjoy it! 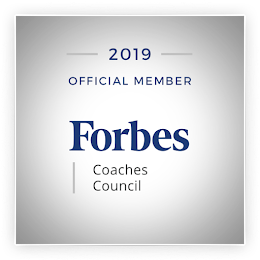 If you have any other questions about journey mapping, please feel free to leave a comment below or shoot me an email. I'm always happy to help. Is Your Customer Experience the New Normal? Yea, But Will They Keep You as a Customer? To Mark the Spot with Benchmarking or Not? Are You Using Journey Maps for Product Design?